The new Evoque has a smoother exterior look with integrated door handles. 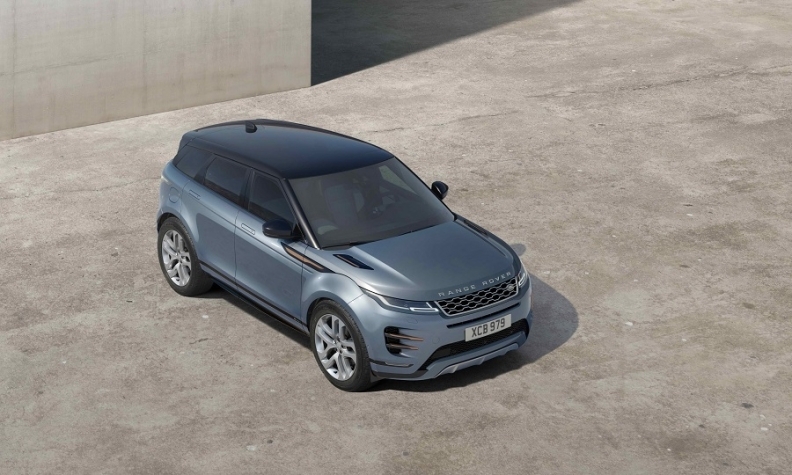 LONDON – Land Rover is adding fuel-saving plug-in and mild hybrid powertrains to the new-generation Range Rover Evoque that was unveiled here on Thursday. The coupe-styled SUV keeps the distinctive design of the current model with its rising waistline and slim rear window while adding a host of new technology. The Evoque has been a success since it was introduced in 2010 with just over 772,096 units built to date. Last year the car was Jaguar Land Rover's No. 2 seller after the Discovery Sport with global sales of more than 100,000. 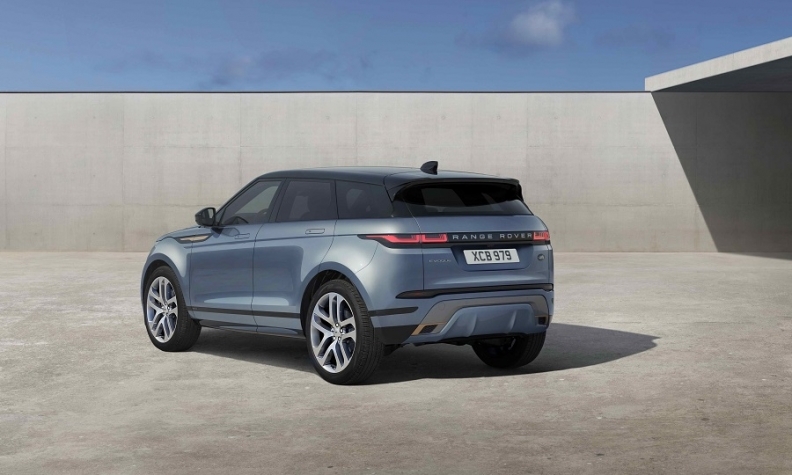 The Evoque "transformed the world of compact SUVs on its debut and the new model is set to continue that remarkable journey," Land Rover Chief Designer Gerry McGovern said at the unveiling. The Evoque now has a smoother exterior look with integrated door-handles that echoes the styling of the larger Range Rover Velar. Land Rover has dropped the Evoque’s three-door version after demand fell to about 3 percent of total volume. The Evoque will be offered in Europe with three diesel and three gasoline four-cylinder 2.0-liter engine options. The Evoque joins the Range Rover Sport and Range Rover in offering plug-in hybrid options. Land Rover will add a 300-volt plug-in hybrid will toward the end of next year. It will have an electric motor mated to a new three-cylinder gasoline engine that will reduce CO2 emissions to below 45 grams per km, the company said. The Evoque keeps the distinctive design with its rising waistline and slim rear window. The Evoque's all-wheel drive versions will be available with a 48-volt mild-hybrid that adds a belt-driven starter-generator to capture energy lost in braking and add electric assistance under acceleration. The engine will also shut off below speeds of 17 kph (11 mph) to save fuel and reduce CO2 emissions. The most fuel efficient mild-hybrid diesel version has CO2 emissions of 149 g/km, Land Rover said. The entry Evoque is a two-wheel-drive 148-hp diesel that starts at 31,600 pounds ($40,500) in the UK. In Germany its prices start at at 37,350 euros. The most powerful option is a gasoline with an output of 296 hp. The Evoque will continue to be available with a nine-speed automatic gearbox. The latest Evoque is built on an update of the current model's steel platform JLR now calls Premium Transverse Architecture. The company said the Evoque is similar in length to the 4370mm-long outgoing model but has a longer wheelbase to give more cabin room. The new platform is also stiffer to give better handling, Land Rover said. New technology includes a camera system that gives the driver a frontal view on the dashboard that creates the effect of looking through the car’s hood. Called "Ground View," it is useful when parking or going off-road, Land Rover said. Also available is a windshield mounted screen to replace the rear-view mirror to give a wider-angle view behind the car, similar to the system used by Cadillac. 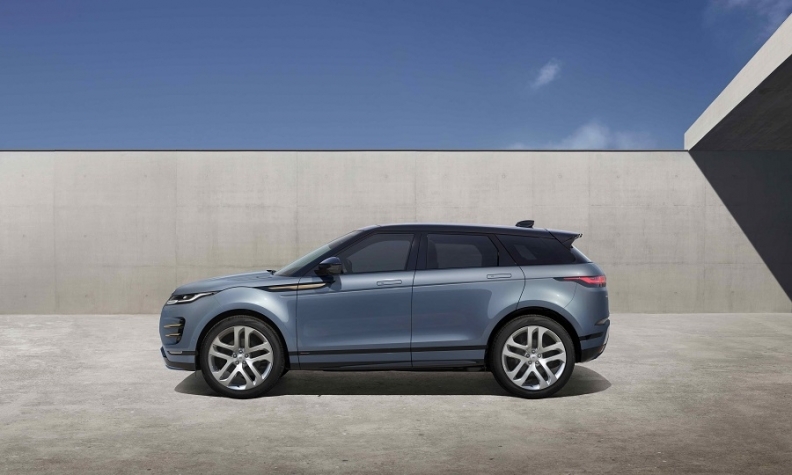 The Evoque is available with the same twin-screen Touch Pro Duo as used by the Velar, which positions two 10-inch touchscreens above one another on the central dash. Safety technology includes radar-assisted adaptive cruise control with a steering assist function that centers the car within its lane. The cabin can be trimmed in a range of high-end fabrics designed to give a premium feel without needing to specify leather. They include Kvadrat wool blends, and Dinamica, a suede substitute. Land Rover started taking orders for the new Evoque on Thursday with the first cars due to be delivered early next year in the UK and the rest of Europe. Other markets, such as the U.S. and China, will follow later the company said, without giving a specific date.